While the pan is heating up, cut the Canadian Bacon into small ½” squares. Spray the hot pan with Pam and add the Mushrooms. Cook until they brown – stir frequently, but not constantly. Add the Spinach. Continue cooking until the spinach shrinks to fit in the pan nicely. Add the Canadian Bacon and cook the whole mixture for another 30 seconds or so. Stir often. Add the Egg Beaters. Swirl the Egg Beaters around the pan to cover all of the ingredients. Use a spatula or omelet tool to push the Egg Beaters into the center so all the Egg Beaters can cook on the bottom side. 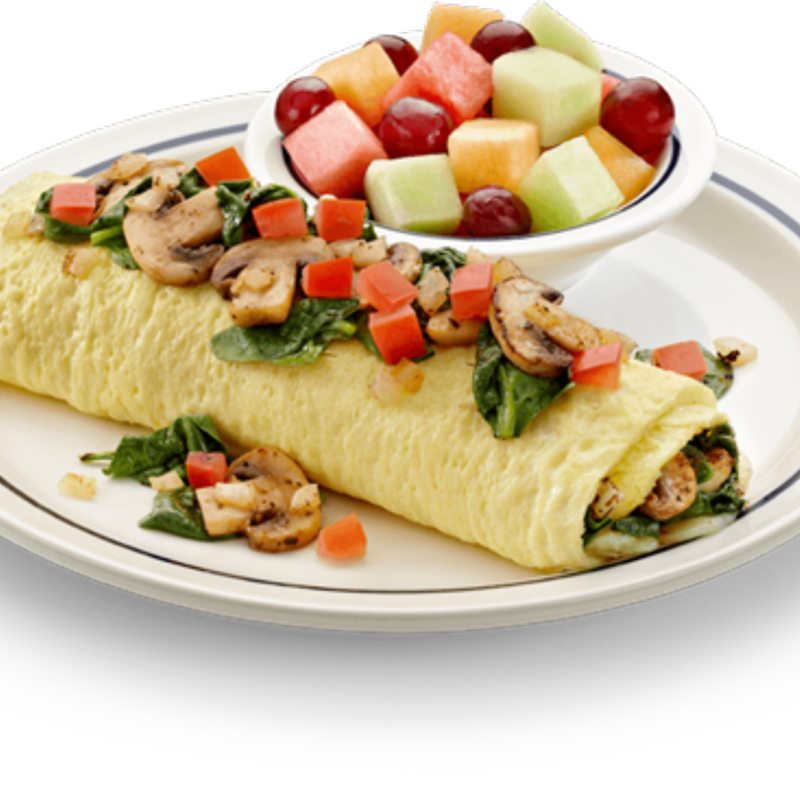 At the appropriate time, flip the omelet and immediately place the slice of Jarlsberg on the omelet. When the cheese starts to melt, fold the omelet in half and slide it onto your plate. Enjoy!